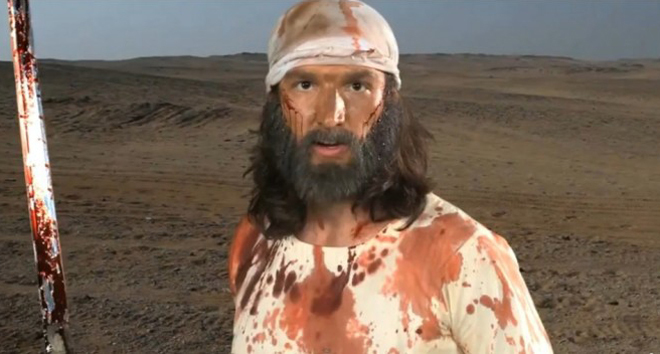 He went by many names, the man who helped produce “The Innocence of Muslims,” the inflammatory video now roiling the Middle East: Matthew Nekola; Ahmed Hamdy; Amal Nada; Daniel K. Caresman; Kritbag Difrat; Sobhi Bushra; Robert Bacily; Nicola Bacily; Thomas J. Tanas; Erwin Salameh; Mark Basseley Youssef; Yousseff M. Basseley; Malid Ahlawi; even P.J. Tobacco. But his real name — the one he used when he was sent to prison for bank fraud — was Nakoula Basseley Nakoula. His habit of adopting other identities earned him a 21-month sentence in federal prison. During 2008 and 2009, court documents reviewed by Danger Room (.pdf) and embedded below show that Nakoula again and again opened bank accounts with fake names and stolen social security numbers. Then Nakoula would deposit bogus checks into the new accounts and withdraw money before the checks bounced. The scheme worked for more than a year, until he was indicted in June of 2009. Eventually, he was ordered to stay off of the internet unless he got his probation officer’s permission, and pay a $794,700 fine. This is the man whose work is now at the center of one of the gravest diplomatic disasters in recent memory, whose video is at least partially responsible for attacks that claimed the lives of four U.S. employees, including the American ambassador to Libya. It shows how U.S. foreign policy in the 21st century is at risk of being derailed by a single, pseudonymous fraudster. In the 1990s, Marine Gen. Charles Krulak famously coined the phrase “The Strategic Corporal” to describe how a 19-year old Leatherneck’s actions, broadcast worldwide, could derail U.S. interests. Meet Nakoula Basseley Nakoula, the Strategic Con Man.